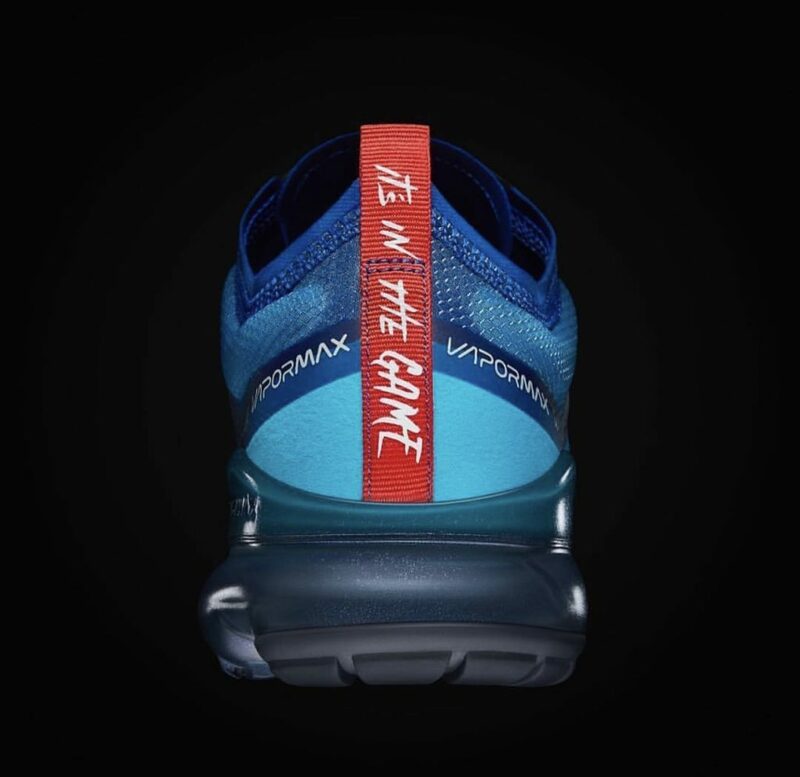 Nike have some tricks up their sleeves this weekend for the Super Bowl. 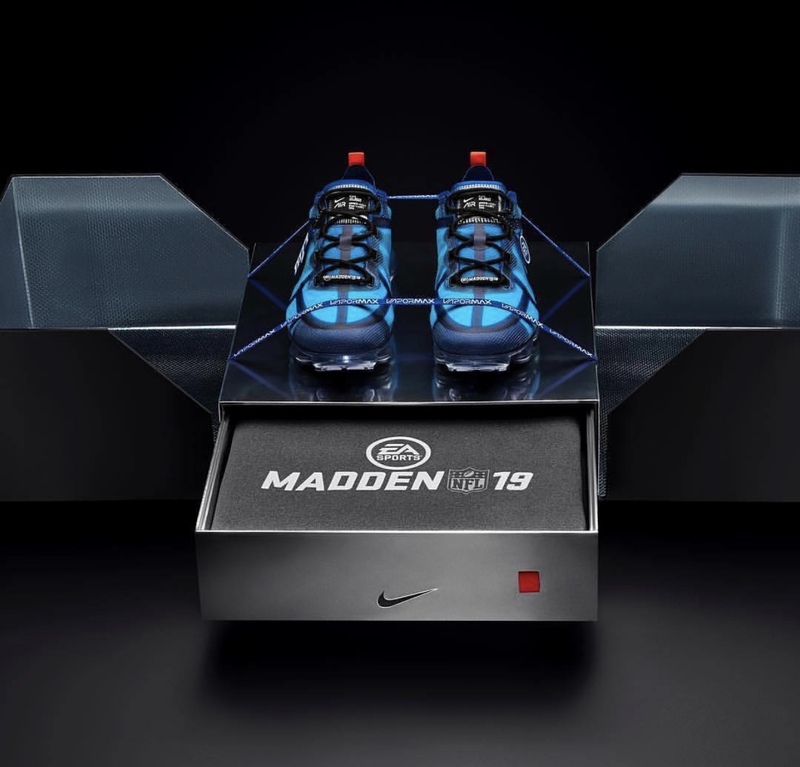 Madden NFL game series, have collaborated with Nike to celebrate one of the biggest sporting events of the year. 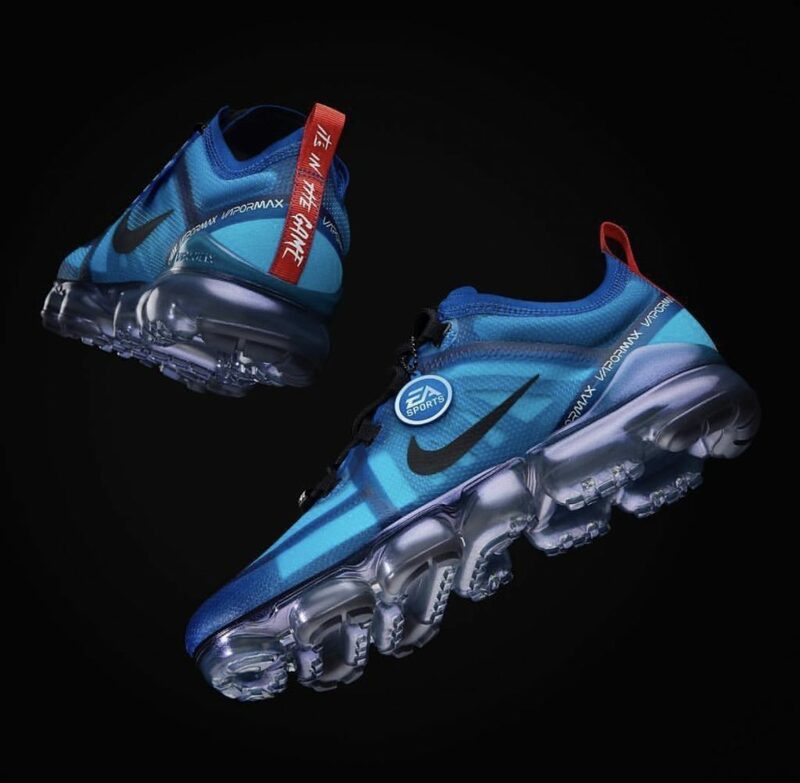 Debuted by Travis Kelce at the EA Sports Bowl in Atlanta , the “Madden Pack” features a limited edition colorway of the VaporMax 2019. The sillhouette features a translucent blue upper, tonal inner cage, and black accents on the swoosh and laces. The collection also comes with a very special box, stamped with metallic silver co-branding to add the finishing touches. 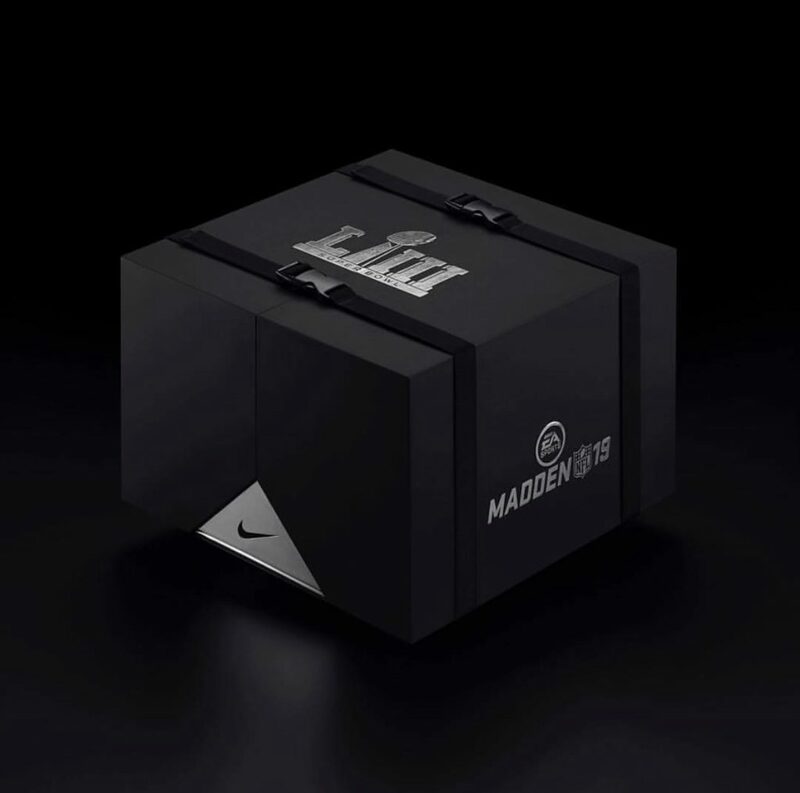 Madden NFL 19 players will get their chance to own this pack today and Sunday via: surprise unlocks. They will also be able to win pairs through the Madden Rewards Program by engaging with the Madden Twitch show, or completing solo challenges on Madden Ultimate. Good Luck and Game on.